Today I want to tell you a bit about my journey in connecting with my agent, because it’s definitely one of the most exciting by also most stressful and discouraging parts of a writer’s life. It’s exciting because, oh…the possibilities. After years and years of writing and editing and polishing our manuscripts to (we hope) perfection, the chance to finally delve into the professional world and reach readers is a dream that is too good to come true. Right? The stressful and discouraging part is the inevitable rejections. After all that hard work, the last thing we want to hear is that our manuscript is not perfect for our dream agent. With every “no,” it feels like the door leading to publication closes half an inch more. Before we start querying, we can almost convince ourselves that anything is possible, but once the “not for me”s start rolling in, the doubts can become insurmountable. But if you’ve gotten great feedback from experienced critiquers on your manuscript and synopsis, and you feel good about what you’re sending out, let me tell you why I think you should brush off those rejections. When I was ready to start querying, I consumed every piece of advice I could feast my eyes on–and there’s a lot of it. 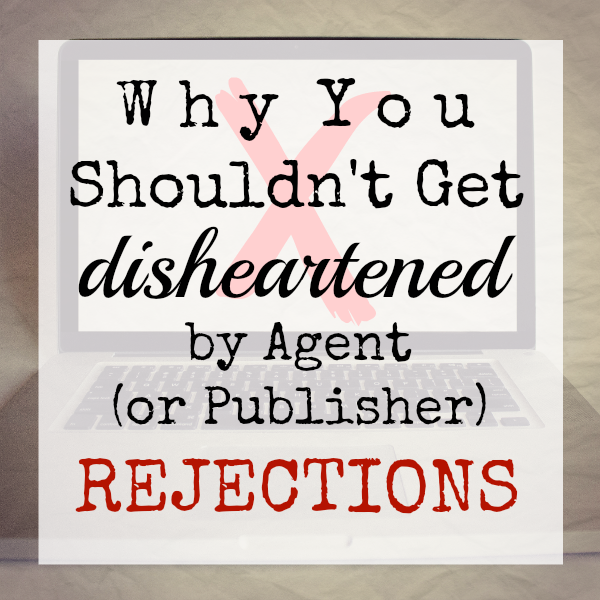 One of the best pieces of advice I came upon was to research the agents I was querying before sending them a letter. It’s important for a few reasons. Yes, personalizing your letter establishes that you’re educated about the process, the agency, and the agent, and yes, you want to make sure you’re querying agents who represent work like yours. But it’s also important because you want to want to work with this person if they say yes. And that’s one thing I think it’s easy to forget in our excitement to finally see our dreams become a reality–working with an agent is a mutual relationship. When I was researching agents, I came across an interview for one agent who said she liked stories with “people being taken apart, the putting back together is optional.” Since I love tearing my characters apart and my fiction often has a darker tone, I was really hopeful about hearing back from this particular agent. Reading her interview, I just felt a connection. Our views on books and publishing lined up so much. I hit the send button with my fingers crossed. And then the rejections started to roll in. One after another after another. I was okay after the first few. I didn’t expect to nab the first agent I asked. But as they continued to appear in my inbox, I saw that door closing, inch by inch. I won’t say it wasn’t hard. I won’t say there weren’t days I wanted to give up. But deep down I did my best not to let them shake me, because I knew that when an agent finally said yes, it would be the right one. I may have done my research and followed all the guidelines, but there’s only so much you can tell from a person based on what you read online. At the end of the day, only the agent knows if it’s a good match. You know what does tell a lot about a person, though? The book they choose to write. The characters they create and the struggles those characters face. The nuances that come together in a way that is unique to the author and their individual experiences. A writer’s book is a road-map to their heart and if an agent connects with those things, there’s a good chance you’ll see eye to eye on other things, like editing choices, career goals, and the list of editors you’ll eventually send the book to. Just like readers who like the same book often have other common interests, an agent who loves your book is going to share similar values and ideas. When you work together, you’re more likely to have a shared vision. I’ve been with my agent for over a year now, and I can tell you that’s been the experience for me. That agent who loves characters taken apart read my book in three days, put me on Cloud 9 after our first phone call, and we’ve been in sync ever since. She connected with my attention to details and is a perfectionist like me. We both tend to work slower to allow the story plenty of room to become what it needs to be, with lots of discussions about it as we go. And being that we both are drawn to the intricacies of characters and their personalities, she has been a patient and understanding guide to me as I’ve navigated the tougher parts of becoming a professional writer. Because of that, I’m so thankful for all the agents who owned up to their “not for me”s because if they hadn’t, I might otherwise be working with someone whose ideas about my stories and my career don’t quite line up with mine. Finding the right agent, was worth the wait. So if you’re querying or you’re getting ready to, keep your chin up and keep these thoughts in mind when you start to receive rejections, as you no doubt will. Let those “no”s slide off your back and look forward to hearing from the right one. Or, if like me, you’re waiting for the right editor to come along, let’s remember these thoughts too. Jamie Raintree writes Women’s Fiction about women searching for truth in life and love. She is currently working on revisions of her first novel in preparation for submission to publishers. 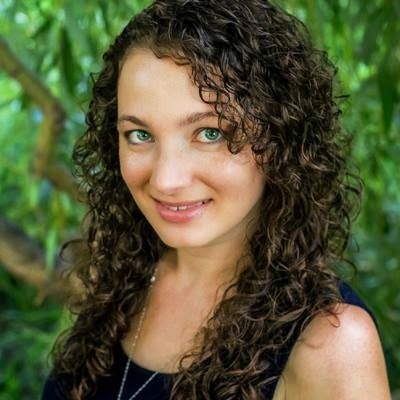 In the meantime, she blogs about her journey toward a well-balanced life and a career in publishing–her struggles and successes along the way. She lives in Northern Colorado with her husband and two young daughters and is a Workshop Coordinator for the Women’s Fiction Writers Association.